There are so many benefits of cat ownership. Cats make loving and loyal companions. They are intelligent and expressive. Our love affair with cats is evident just by taking a look at the multiple cat memes such as “Grumpy Cat” and the websites and social media groups dedicated to the discussion of all things cat. But there is an unpleasant side to cat ownership. A problem that all cat owners must deal with is hairballs. While it is usually not possible to get rid of hairballs completely, there are ways to help cut down on the number of occurrences and give your cat some relief. An important part of a cat’s daily routine is licking and grooming. The cat is very particular about her grooming and according to the ASPCA she even has a particular order that she uses as she performs her ritual. During the grooming process, she will ingest loose fur that will usually pass through her system. But if she begins to groom excessively then she may be more likely to develop problem hairballs. 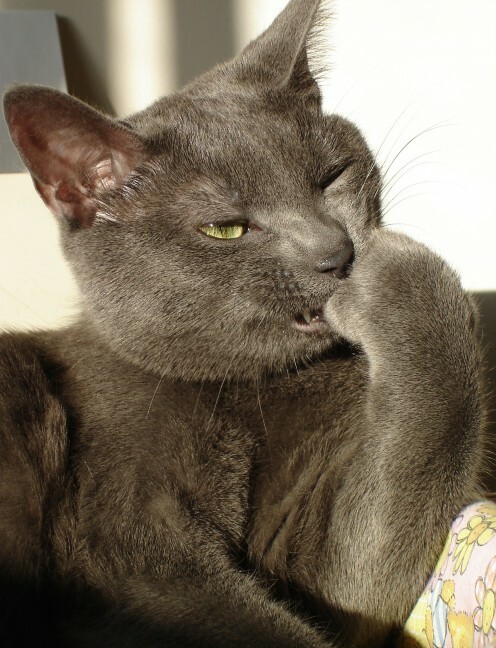 Your cat may develop hairballs more often if she has any of the following traits or issues. All these activities can cause her to form hairballs that are too big to move on through her digestive system. According to Dr. Mary Fuller of Vetstreet, this is where problems may begin to develop. The hairball can “cause constipation, diarrhea and loss of appetite.” If the cat doesn’t vomit the hairball, she can get sick enough to actually need a vet to perform surgery in order to remove the blockage. Most of the time, though, the cat will throw up the offending bundle of hair in a spot where your toes will be sure to encounter it when you get up in the morning! 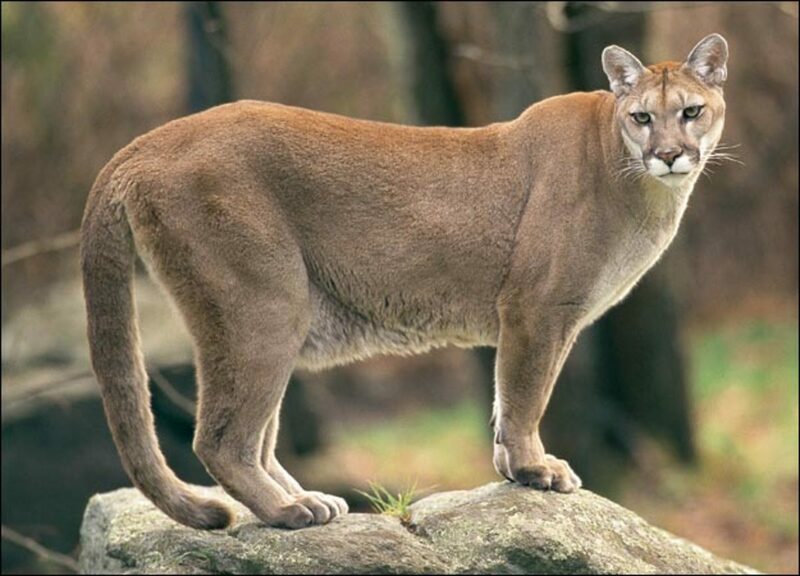 It is important to understand that it is very hard to completely rid your cat of hairballs. Cat owners should realize that they will have to deal with them at least occasionally. An enzyme cleaner can help to get out any spots that land on carpet or rugs. Yelling at your cat, banning your cat to the outdoors or having your cat put to sleep because of hairballs are not good ways to deal with the issue. A cat is a lifetime commitment. There are ways to make hairballs a less frequent problem. If your cat is having excessive hairballs, check him for any kind of skin issues and irregularities. Hot spots, rashes and fleas can all cause him to groom more often, setting him up for more hairballs. 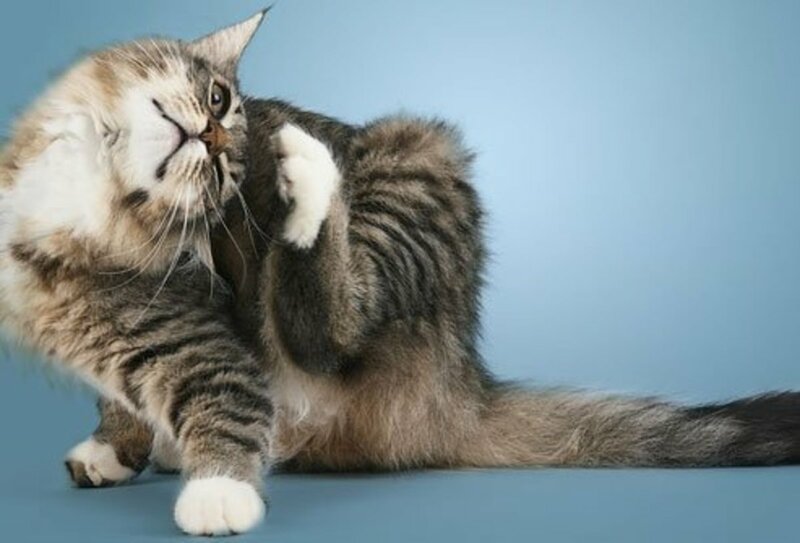 If the cat is grooming more because of skin issues, flea medications or skin ointment may give him some relief. If your cat has longer fur, brushing him daily with a wire grooming brush will help to remove the excess fur. If your cat does not like the wire brush, you can try a grooming glove. Brushing is a great way to bond and spend time with your cat while removing extra hair. One of the easiest ways to treat hairballs is to purchase food that is especially designed to treat and prevent hairballs. Most of the hairball formula food contains extra fiber which, just like in people, helps to push the excess hair on through the digestive system. You can also try adding canned food to your cat’s diet to help add extra moisture and promote better digestion. There are hairball foods available for every budget from store brand to premium and veterinarian prescription. Another great option is hairball control treats which offers your cat a fun way to get an extra bit of fiber. Just remember that the extra fiber may also mean you need to scoop the litterbox a little more often. You can also purchase an over-the-counter or prescription cat laxative. The laxative usually comes in a tube and is flavored with malt and fish flavors to make it tasty for your cat. Many cats will readily lick the formula straight from the tube. To give your cat medicine orally, wrap him in a towel so that only his head is showing. Make sure to wrap him securely. Taking your thumb and first finger, place one on either side of the corners of his mouth and gently pry the mouth open at the hinge. Then tilt back his head. Quickly drop the pill, liquid or gel as far back in the throat as you can. If you get the medicine back far enough, the cat will be forced to swallow it. Their mouth shape makes it hard from them to spit it back out. Understanding why cats form hairballs and how to treat them will make both you and your cat happier and healthier. How often does your cat get hairballs? It really does sound like she needs vet care. Many cities have low-cost or even free (if you qualify) vet services so ask around. You might also try to change her food to see if that is what is causing the tummy issues. Hope she gets better soon. Yes, those little messes on the carpet called hairballs. My kitty was doing OK until I switched to a food that obviously has less fiber, now back on tract. Informative article. Very informative hub good advise on how to help our furry friends on getting rid of the hairballs. I can remember when my cat was coughing one up I thought she was choking but thank god it was just a hairball!